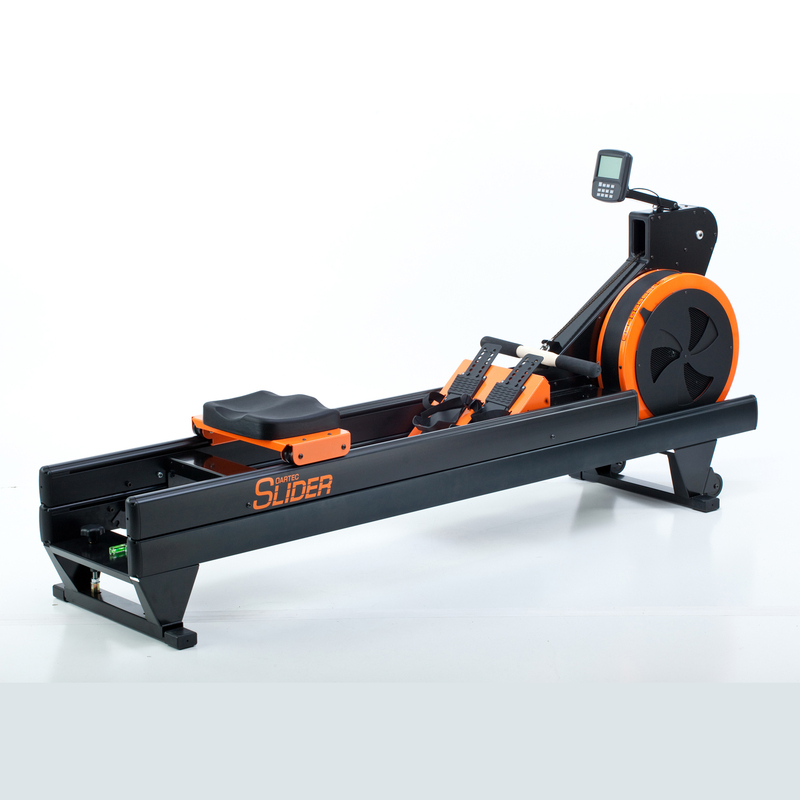 The Slider Dynamic Rower is a durable, air resistant, American Made rowing ergometer. Its dynamic stroke cycle improves drive coordination and promotes efficient power application while encouraging proper technique. The sliding frame provides a smooth, frictionless glide that replicates the stroke dynamics of a rowing boat. Training on the Slider Dynamic allows for an easy transition from indoor training to on-water rowing. Adjust the pressure using the lever on the flywheel. Monitor displays drag factor for specific training needs. The Slider Dynamic is the only dynamic machine to have the feet positioned as they are in a boat, as well as dual rails. The Slider Dynamic's rear leg features a built-in spirit level and adjustable legs for optimal placement. Row your Slider anywhere. Easily locks, for transporting and storage. The Slider Dynamic has wheels on the front leg, and can be moved and stored easily. It is 7ft tall in the locked stored position. No more wiggling around on those long pieces. The Slider features a sturdy, comfortable seat.